(MENAFN - Jordan Times) AMMAN — More than 52 cruise ships are expected to visit Aqaba this year, with more than 96,000 tourists on board, according to the Aqaba Special Economic Zone Authority (ASEZA). 'Starting in March, through towards the end of this year, we are scheduled to receive tourists from all over the world, coming to visit the golden triangle; Aqaba, Wadi Rum and Petra,' said ASEZA Spokesperson Abdul Mahdi Qatamin. 'Transportation, museums, historical sites, local shops and restaurants — all those segments of the sector are vitalised with arrival of tourists. Not to mention that the Aqaba Port, Wadi Rum and Petra all have entry fees,' he underlined. The 'significant' increase in the number of tourists inbound by sea, compared with an estimated 50,000 to 60,000 in 2018, is due to a number of factors, explained Sharhabeel Madi, ASEZA commissioner for economic development and investment affairs. 'I would say the notable growth can be attributed to two factors: One is that the situation has relatively calmed down in the Middle East, so tourists are less afraid to visit the region, by sea or otherwise,' he told The Jordan Times over the phone. 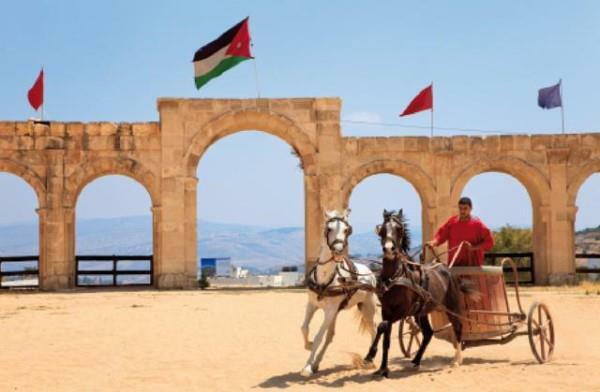 'The second is that the Ministry of Tourism, as well as the ASEZA, has been focusing on promoting Jordan by collaborating with social media influencers both outside and inside Jordan, which is the best way to do so in this day and age,' Madi underlined. The spread of Jordan's popularity in the tourism sector was not all directed at the golden triangle, head of the Jerash Department of Antiquities Ziyad Ghunaimat underlined. 'The discovery of new sculptures last year, as well as the opening and renovation of a number of museums, has attracted tourists and archaeology gurus, as well as historical experts from all over the word,' Ghunaimat said. 'After worrying stagnation in 2016 and 2017, tourism is definitely on the rise and it has been so since the middle of last year,' he concluded.